Can You Choose To Worry?Pick the Brain | Motivation and Self Improvement Can You Choose To Worry? Can You Choose To Worry? “How come you never worry?” My wife asked. In that moment, I had horrible flashbacks. The truth was, I used to worry constantly about future events and social conflict interactions in particular. I had a Masters Degree in worrying and preplanning arguments and conversations in my head. For 7 years, I had a boss who wouldn’t tell his employees what he wanted them to do, then get angry that they weren’t doing it. Ugh. Fighting battles in my head that usually ended up never happening was pointless, and I largely had no control over this. Worrying was just a version of negative self talk. I was defending myself from imaginary arguments because I was worried I’d mess up every situation and I’d have to defend myself. Because deep down, I didn’t think I was good enough. “I guess I have a system.” I replied to her. 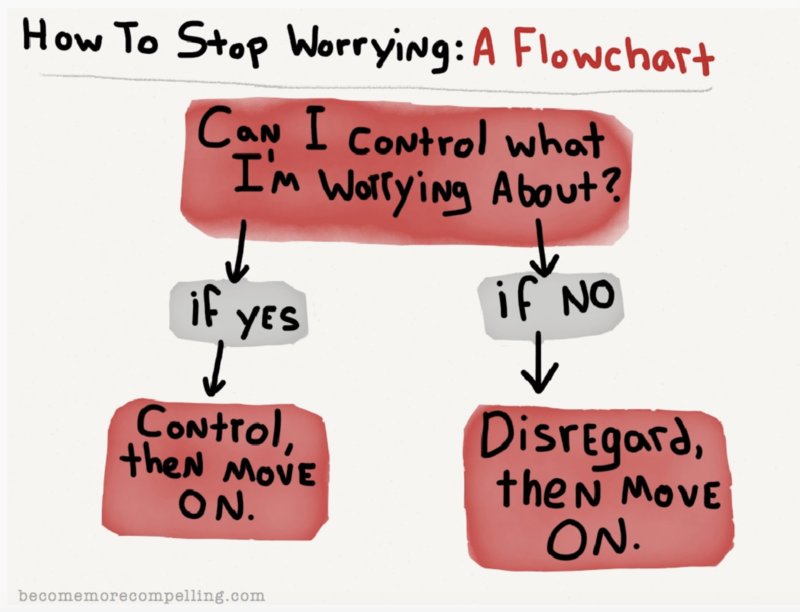 So, what should you do about worrying? Realize that we ALL have worries and negative thoughts. Realize that this is a process. The more times you ask questions the easier it will be to ask questions and also destroy negative thoughts. Also, realize that new negative thoughts and worries can and will pop up over time. If you are in an environment that is triggering these thoughts (relationship, job, housing) then it might be time to reevaluate your situation, and possibly change your environment. Easier said than done, but everything worth doing is easier said than done. Deeper Level: Why Do We Worry? Now, for you weirdos (like me) let’s dig deeper to figure out where these worries and negative thoughts might be coming from. Let’s go waaay back, through time and evolution. In the 1960s Paul MacLean came up with the Triune Brain Theory. The Triune Brain Theory suggests that we all have 3 brains that evolved separately. The Reptilian Brain: Aggression, Dominance, being territorial, basic survival mechanisms. The Paleomammalian Brain: Emotions, Reactions, Memory, and Fear. The Neomammalian Brain: Language, Abstraction, Planning. So a likely cause of negative self talk is a reaction between your 3 brains. Oh yeah, there’s also this wonderful thing called the negativity bias which is the psychological phenomenon by which humans pay more attention to and give more weight to negative rather than positive experiences or other kinds of information. When you woke up 9,000 years ago on the prehistorical savannah, what was the NUMBER ONE thing on your mind? What was that noise behind that bush?! Have to get home to the tribe before dark. This survival mindset served us well for millennia, we’re all here aren’t we? Think of the negativity bias as an outdated operating system on a computer. Worrying is something we’re all engineered to do from time to time. That’s okay. We have control over more than we think we do. Worrying about things that we can’t control is useless. Now that you have some more tools in your utility belt, what questions will you ask yourself next time you start to worry? Jeff Callahan is a Social Skills Strategist and Coach for people looking to maximize their social skills and charisma. Want more info on stopping negative self talk?